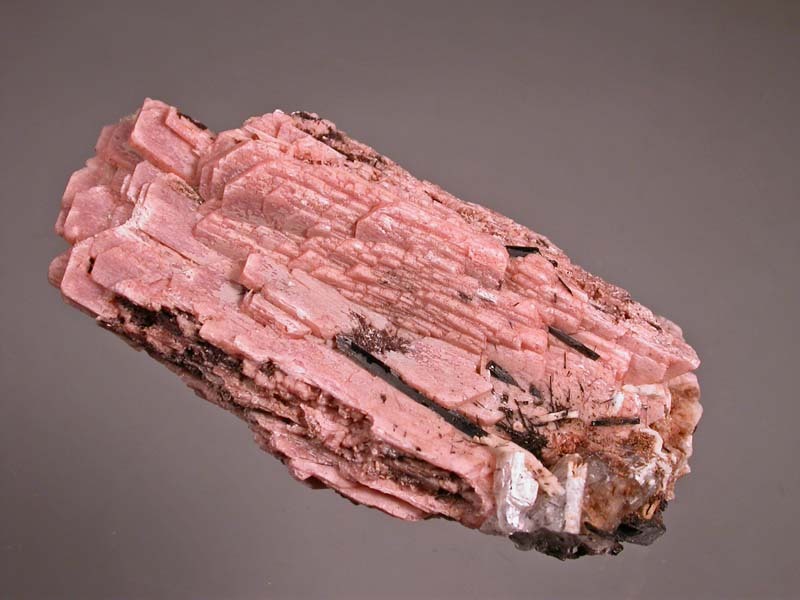 This specimen is a bundle of semi-parallel growth light pinkish serandite crystals. 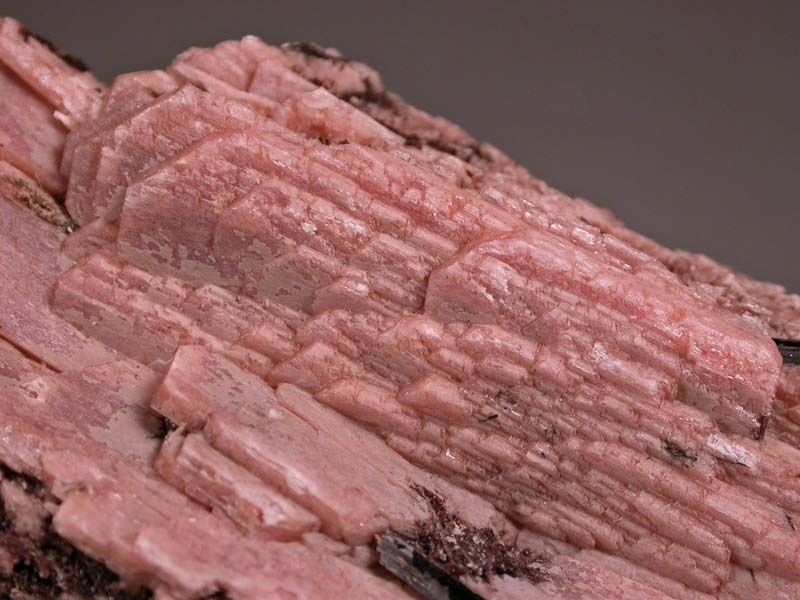 The specimen is not complete all around and you can see that all of the crystals are actually hollow. 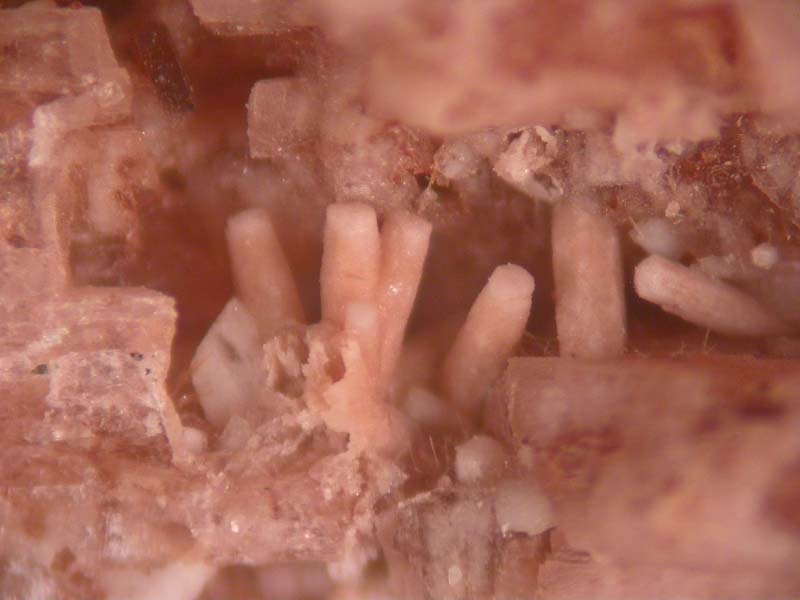 In side the crystals are small crystals of rhabdophane ( as you can see in the micro-photo), aegirine and natrolite. Perhaps others. Interesting piece that shows well from one side.